Women are no less than Man! Well, this is not only said worthy but this woman, Anshu Jamsenpa has proved it right. With India developing and accepting Women in every field, they have not left even a single sector to bounce back, be it politics (Soniya Gandhi, Pratibha Patil etc), Entertainment (Priyanka Chopra) or for that matter any field. Mothers are the strongest Lady who manages our homes but these housewives and mothers who can determine to achieve something in life cannot be stopped. The live example for the same is Anshu Jamsenpa. She is a mother of two children but has created history with first Indian Woman to Climb the highest mountain range of Nepal, Mt. Everest 5 times. Yes, not single time but the lady has been able to conquer it 5 times. Most of all, she has become the world’s first woman to climb Mt. Everest twice just in five days. This is a very famous saying but it does depict the courage showcased by Anshu. Hailing from a small town Bomdila in Arunachal Pradesh, she has made our country proud. 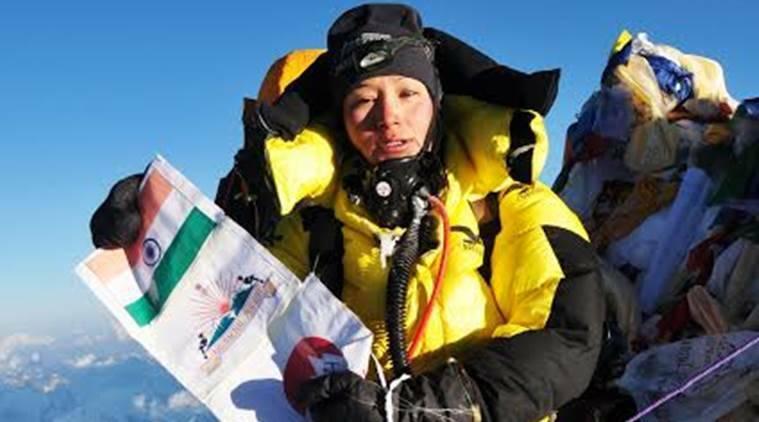 Anshu Jamsenpa is the first lady to climb up the mountain 5 times in just 6 years of time span. Anshu is not doing this for the first time, in fact, she already made a record of being first Indian women to achieve the feat of climbing the Everest 2 times in just 10 days between 12th May to 21st May 2011. She climbed the Everest for the third time on 18th May 2013. She climbed the Everest 4th and 5th Time in span of just 5 days on 16th and 21st May 2017 respectively. 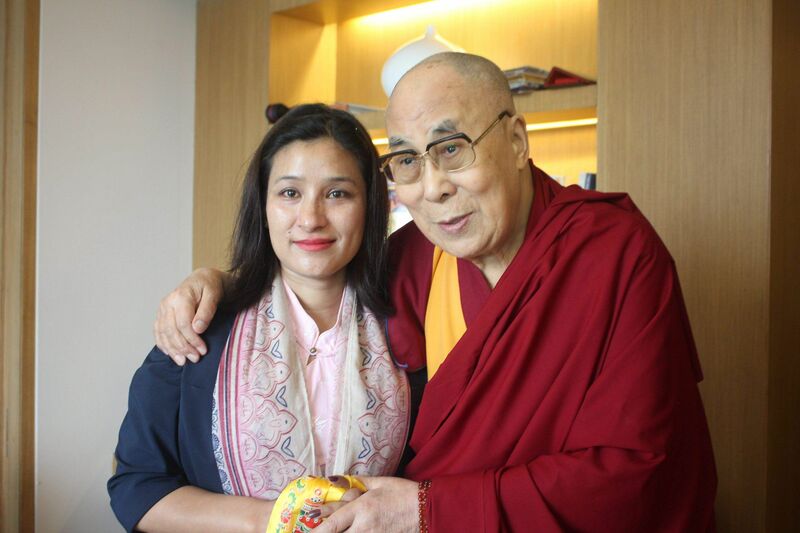 A Buddhist Monpa by religion, Anshu was flagged off this time by Buddhist monk Dalai Lama to her expedition to Mount Everest. In fact, this time she again went on for the double attempt as earlier in 2011. Her husband Tsering Wange has been very supportive of her and has said that she has been given permission to climb fifth time as well and if weather conditions would be in her support, she would be successfully climbing 8848 ft Everest again. She finally conquered it on Sunday, 21st May 2017 at 7:45 A.M.
Anshu’s husband while talking to media informed that Anshu is fit and fine and is proud of her achievements. Anshu Jamsenpa started her expedition along with 17 other mountaineers at 1:45 AM on 13th May 2017, and after two days on 16th May 2017 at 9 AM, she unfurled Indian National Flag at the top of the peak. She again reached the base camp on Wednesday/Thursday and summitted the Everest on 21st May 2017, Sunday morning at 7:45 AM. Anshu’s feat was appraised by Arunachal Pradesh Govt and many others congratulating her for achieving this record. She has made India proud by becoming the first women in the world to do so. Arunachal Pradesh’s Governor said in the statement that Arunachal Pradesh is proud of their daughter. India as a country has developed in past few years with regards to women recognition. The support and strength extended towards women’s ambitions and passion are praiseworthy. It is also noteworthy that Anshu Jamsenpa is an inspiration to all women and young blood of this generation. Determination and passion towards your goal is what makes you achieve it easily. If you feel you can do it, then only you can achieve it. There will be many barriers and obstacles in your path to success but you should be focused and remain uninfluenced from any factors.